“This is an essential drug that is used around the world,” said chemist Jerker Fick of Umea University in Sweden at a press conference preceding publication of theresearch in Science. Benzodiazepines calm people with anxiety by stimulating the GABA receptor, enhancing the sedative effect of that neurotransmitter. The drugs are then excreted in urine, often as the compound oxazepam—a compound that is produced when the body breaks down some benzodiazepines as well as a drug in its own right. Then there are all the compounds are flushed down the toilet. But humans are not the only animals with GABA receptors. “It is present in almost all vertebrates. All fish have these,” Fick added. A previous survey revealed that low levels of such antianxiety drugs contaminated Sweden’s waterways, reaching levels as high as 0.58 microgram per liter. Oxazepamin particular proved long-lasting because even sunlight failed to break it down. 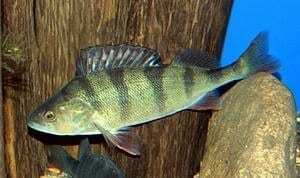 As a result, the compound built up in the tissue of wild-caught perch, reaching levels of 3.6 micrograms per kilogram—or more than six times higher than in the surrounding waters. So the Swedish researchers decided to run some experiments to see how these low levels of drugs might be affecting fishes. The researchers used 90 juvenile European perch, Perca fluviatilis—the same fish whose levels in the wild had been measured. They tested their behavior in cleanwater: recording how active they were; their risk-taking behaviors such as entering an unknown and open stretch of water; how they interacted with their fellow perch; and even how quickly they fed on prey. That’s because the unexposed fish would cower in dark corners or swim around nervously whereas exposed fish quickly explored new, but possibly dangerous aquatic territory. The exposed fish also ate prey faster—it took 75 seconds for unexposed fish to decide the coast was clear enough to eat zooplankton, as compared with 25 seconds for fish exposed to low levels of the drug and just two seconds for fish with the highest levels.